Surround yourself with people who inspire your hustle. Napoleon is one of those people. A good friend of my since our agency days in 2012, Napoleon and I have always bonded over our love for entrepreneurship. He asked me to take a few promotional shots for his business, Fishbox earlier this summer, and we had a blast (we even got fro-yo in the middle of the shoot so that's always a good day). 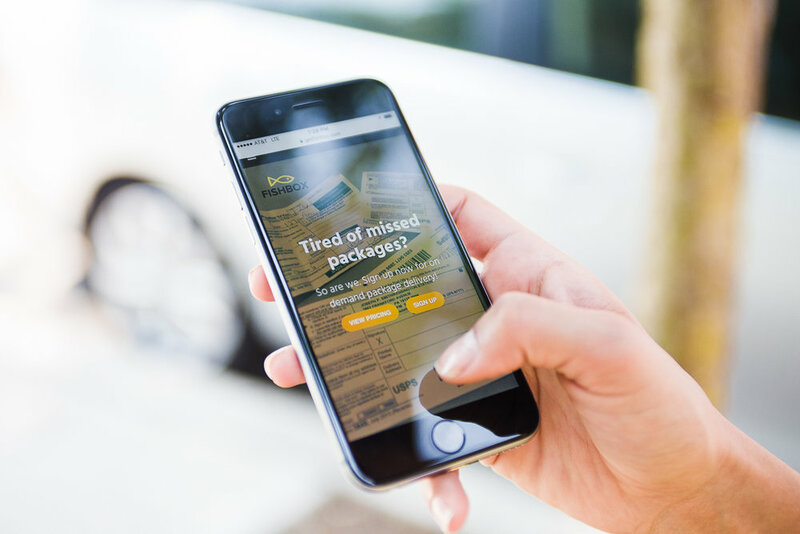 Napoleon created Fishbox as a way for consumers to stop missing packages while they're away from home during the typical 9-5 hours. By signing up for Napoleon's services, you pay a per package or monthly fee to receive your packages after 6pm. Pretty convenient right? 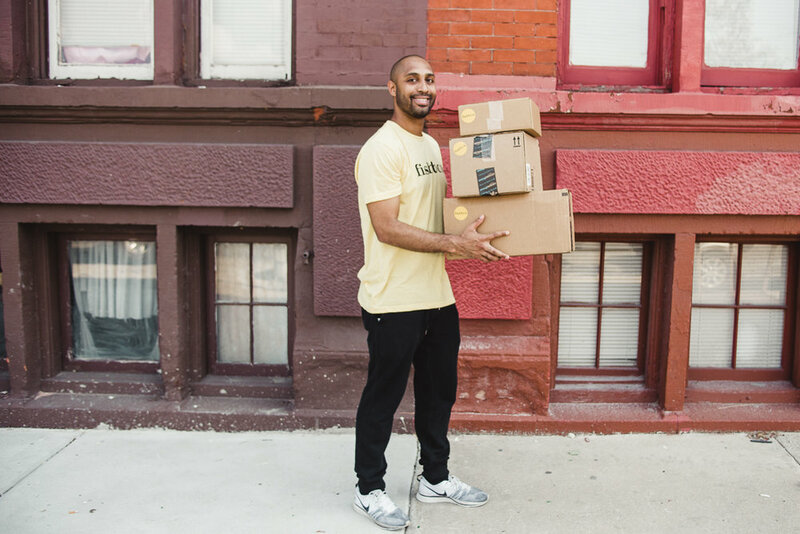 Philly Mag eloquently put it by saying - "Fishbox, feeding your Amazon addiction one delivery at a time." We had a lot of fun with the shoot, using Napoleon and two friends as our customers/models. I wanted to go for shots that were fun, engaging and a bit quirky - while still presenting the company as a friendly and personable startup. Take a look at the shots below and make sure to check out Fishbox to stop all those annoying missed package notifications on your door!